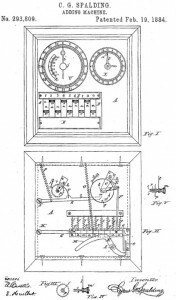 The U.S. Patent Office issues a patent for the Spalding Adding Machine. The precursor of calculators and computers, mechanical adding machines could do simple arithmetic and were popular in businesses until supplanted by computers in the 1960s. Is Your Old Networking Equipment Making Your Internet Slow? © 2019 MB Tech, Inc.